ActionAid is a global federation working to end poverty and injustice with thousands of communities and millions of people across the planet. With 45 national members and country programmes worldwide, ActionAid focuses the majority of its resources on working with the poorest and most excluded women, men and children. 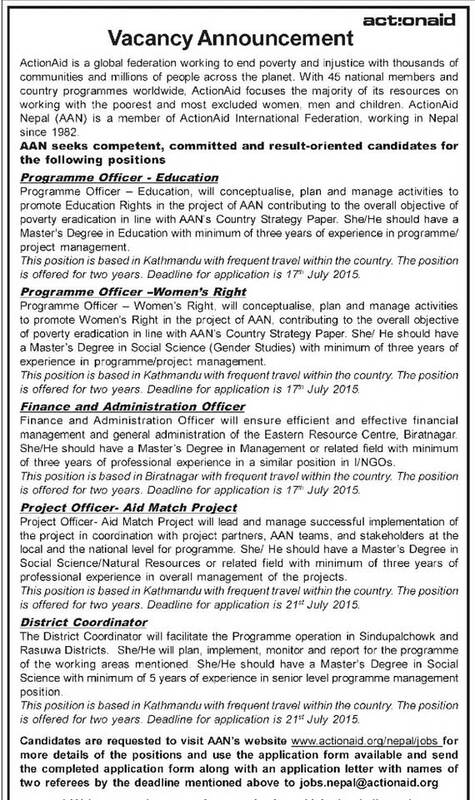 ActionAid Nepal (AAN) is a member of ActionAid International Federation, working in Nepal since 1982.